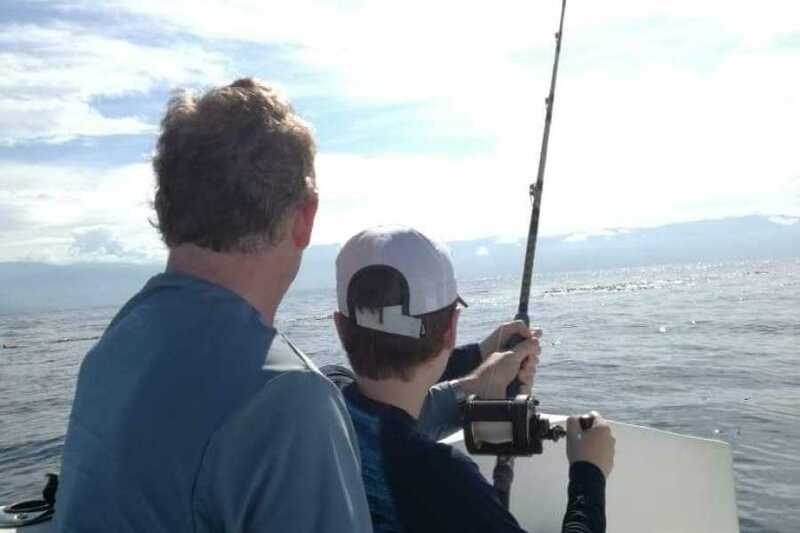 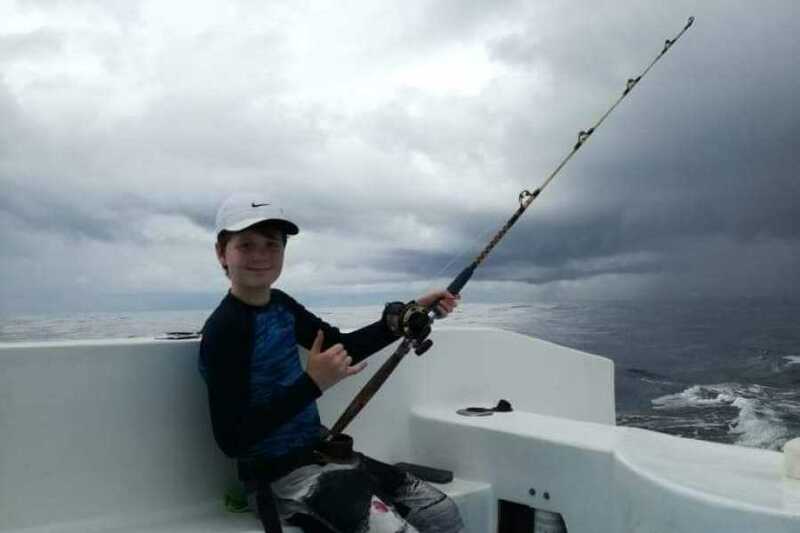 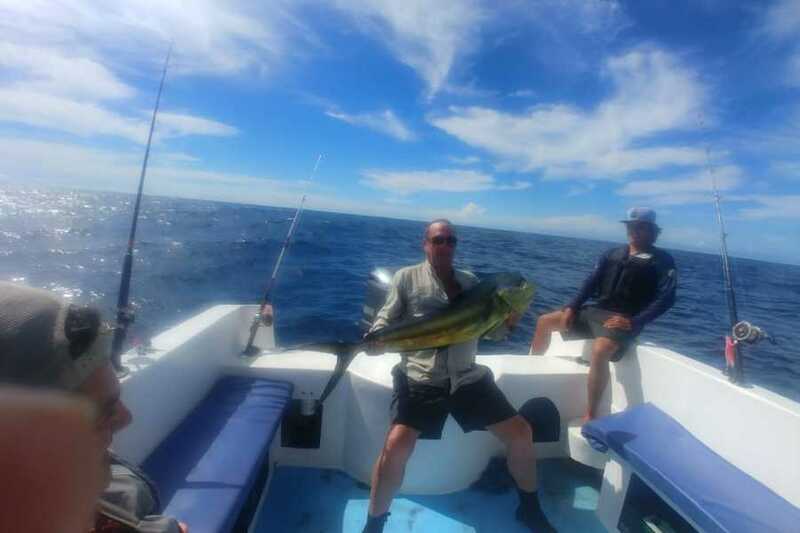 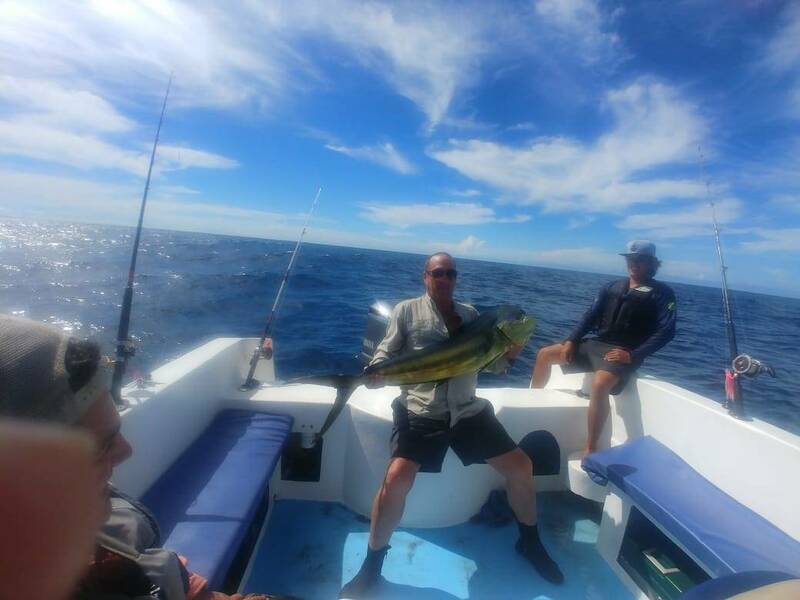 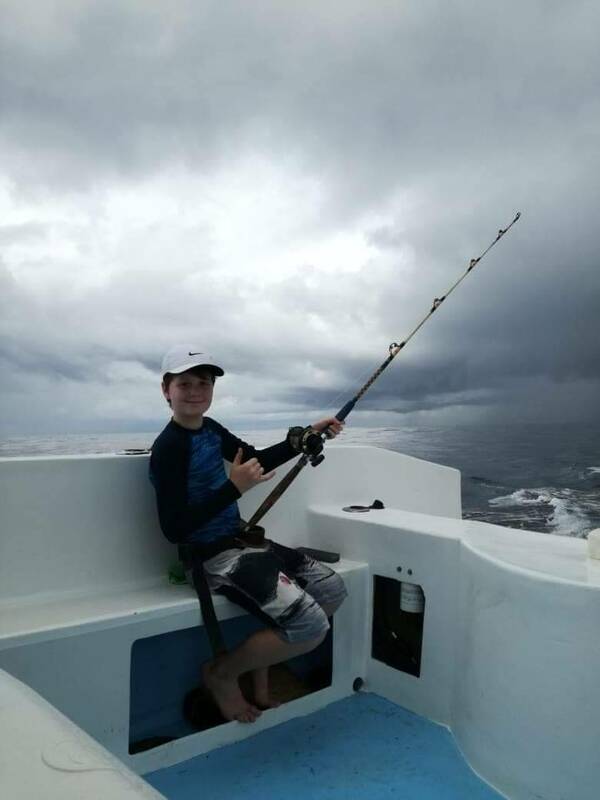 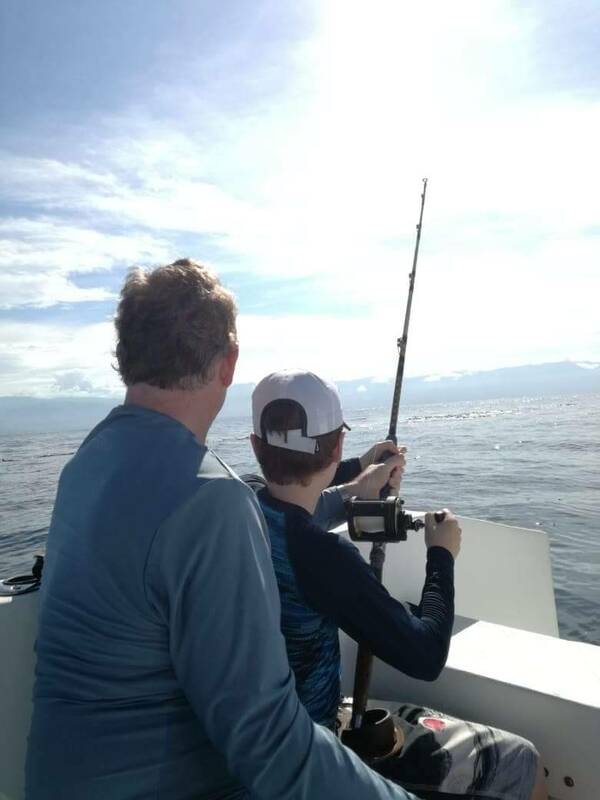 We offer two types of sport fishing: Deep sea (full day) or Coastal (half day). 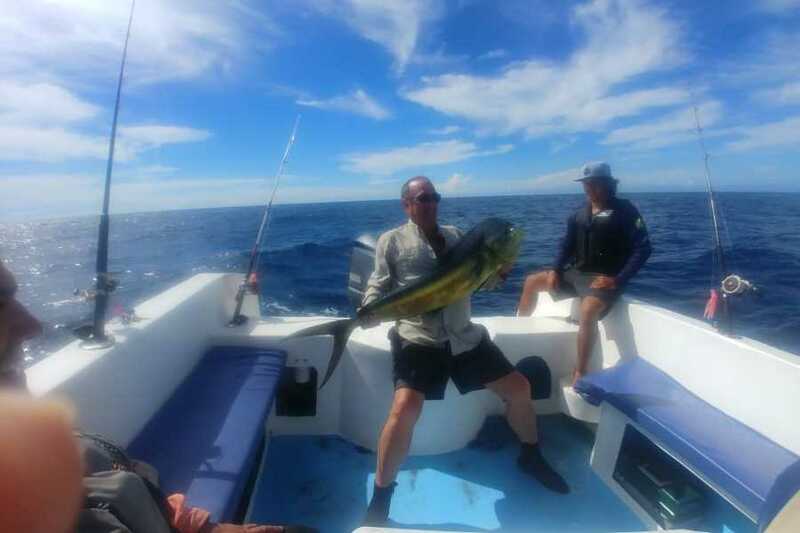 The deep sea fishing starts at 07:00 a.m. with a duration of 7 to 8 hours approximately. 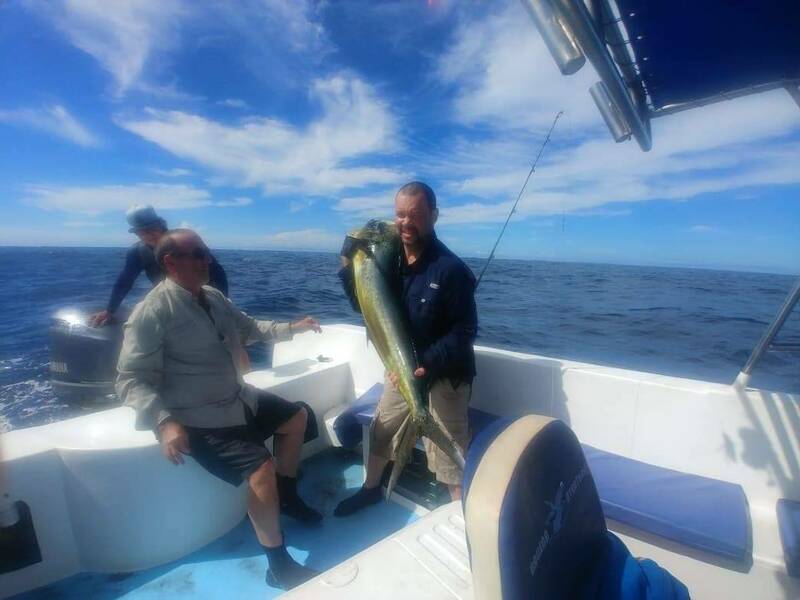 Our meeting point will be at the office of Ballena Aventura, we will offer a refreshing juice of seasonal fruit along with a snack to taste while we make the registration of each of our companions. Once registered we will move on for a small walk of Ballena Bay history to the entrance of the Ballena National Marine Park (Uvita Beach sector), where we will take the boat that will be waiting for us. 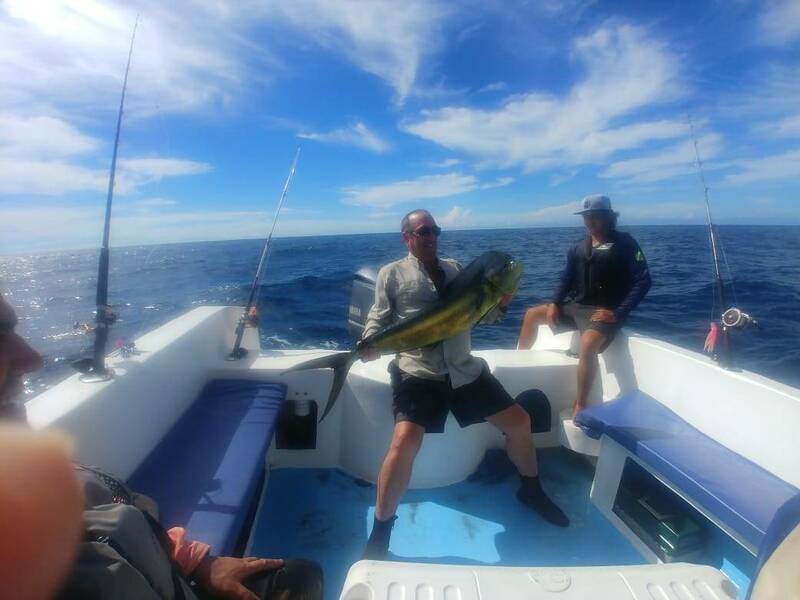 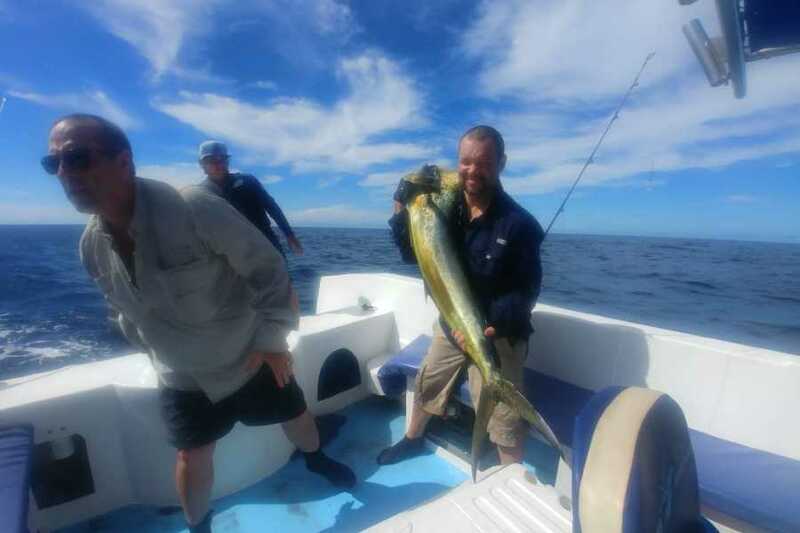 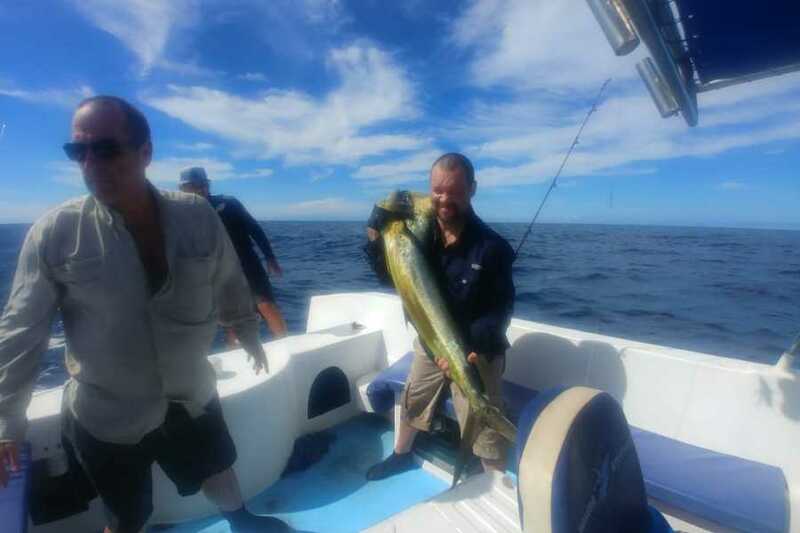 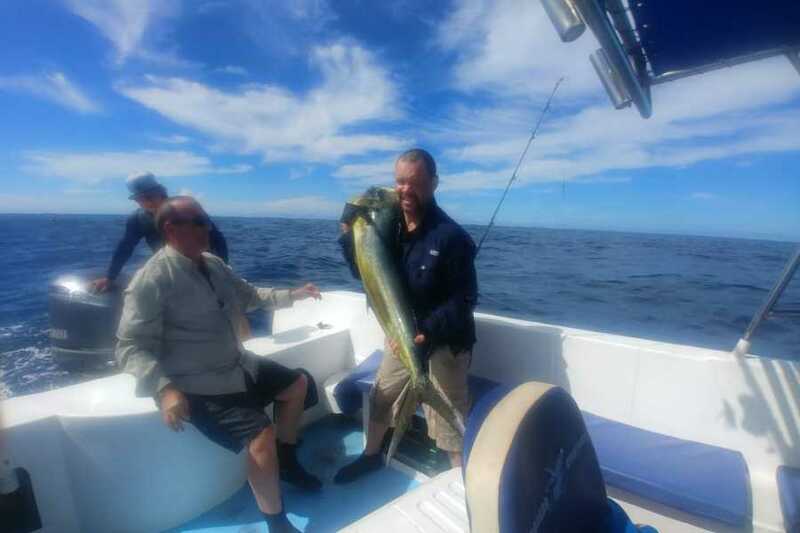 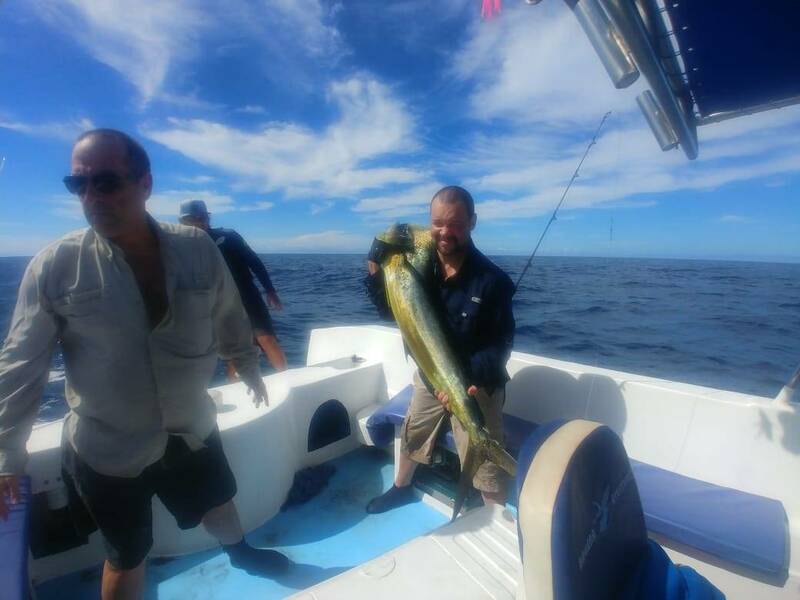 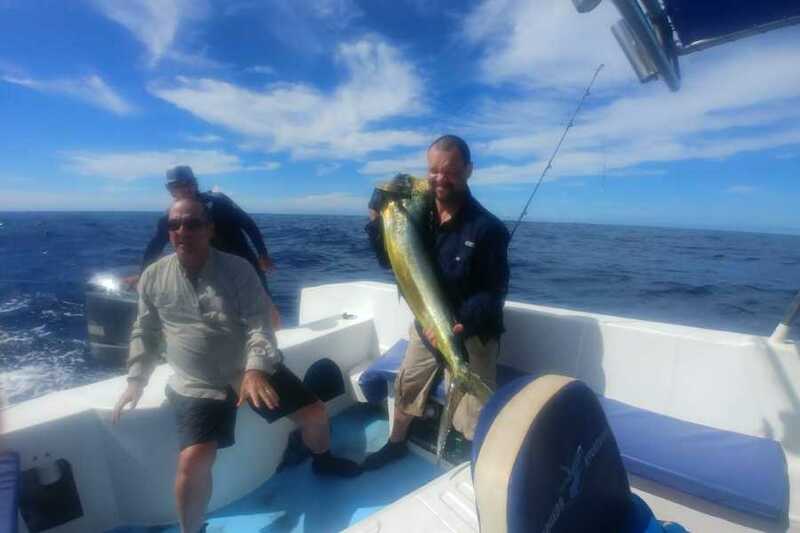 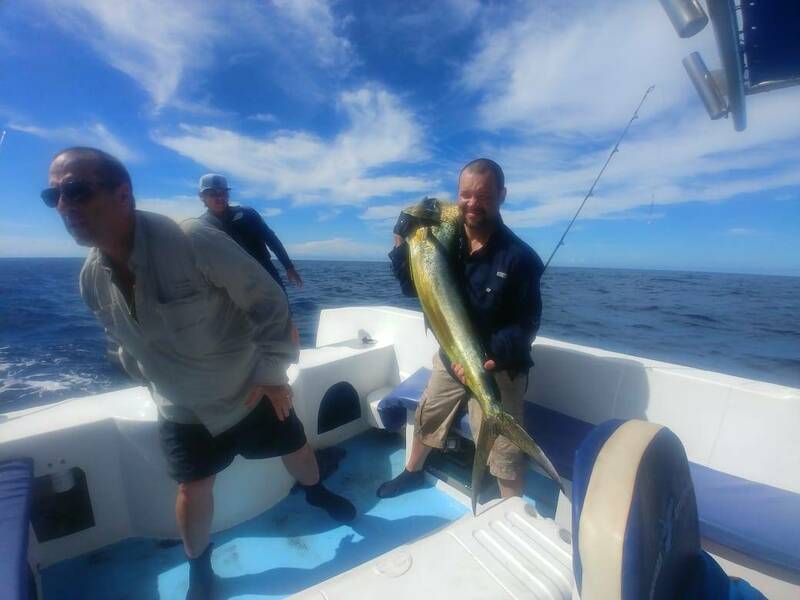 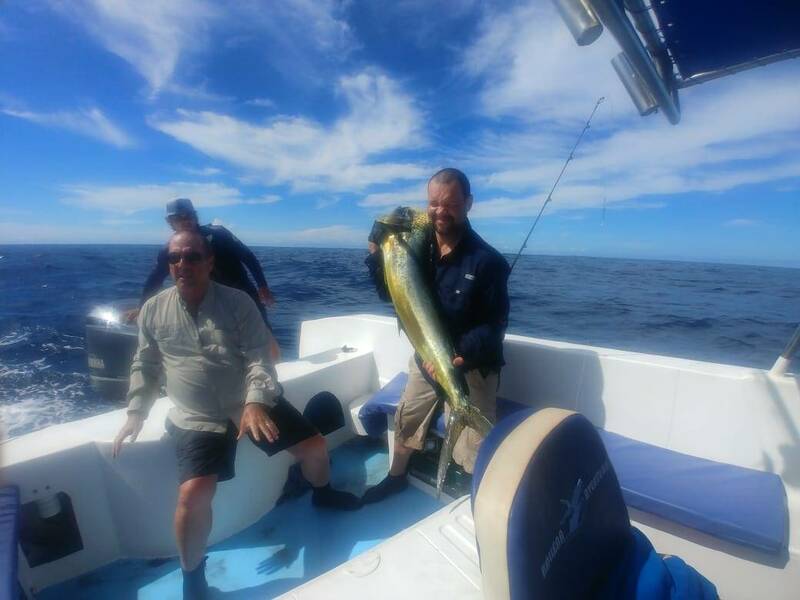 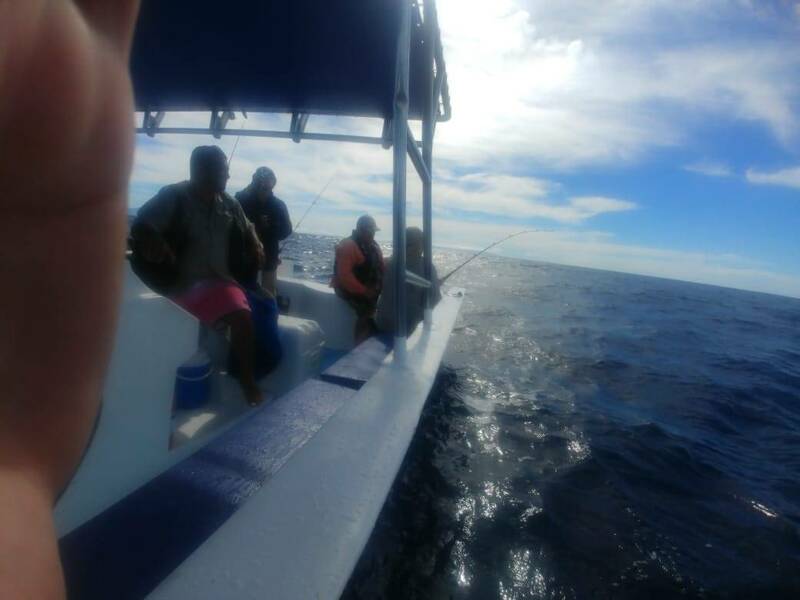 During the offshore fishing we are looking for larger species such as tuna, mahi mahi, sailfish, wahoo, among others. 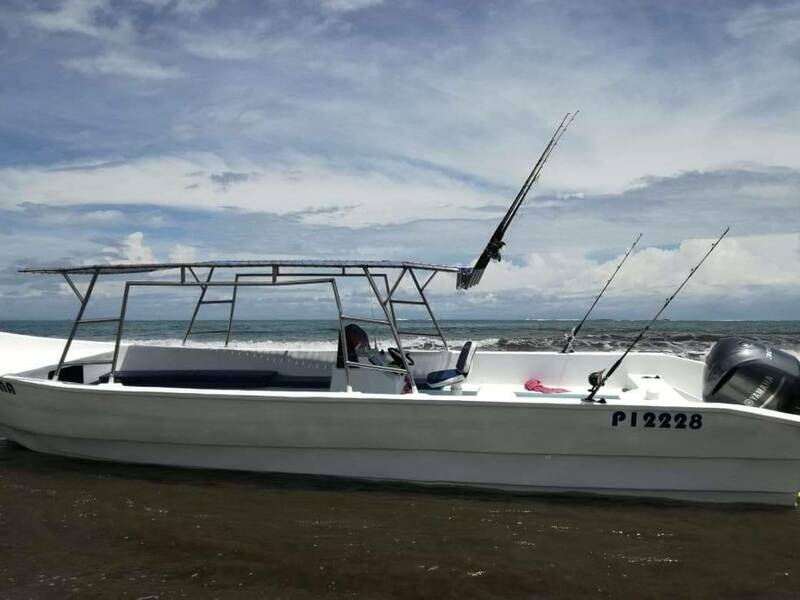 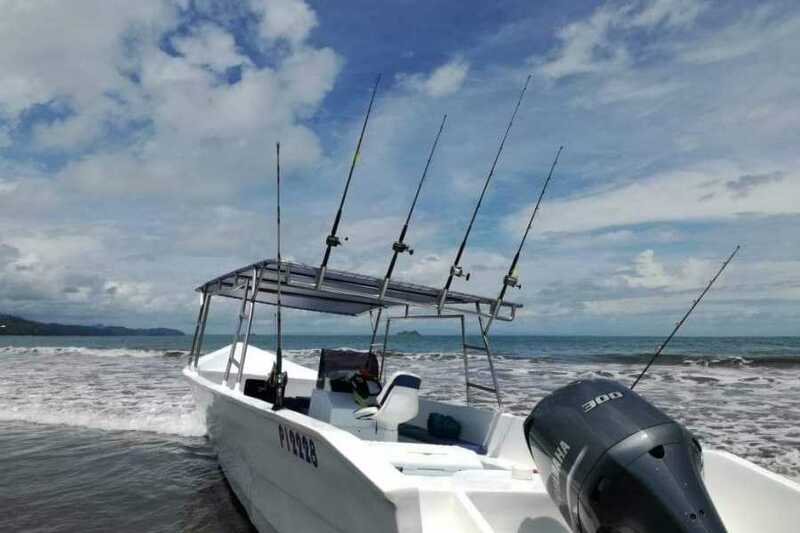 Includes: Boat transportation, experienced captain in fishing, bilingual guide (Spanish/English), safety equipment, fishing equipment, water, fruits, sandwiches, cookies, insurance and private parking for your vehicle if required. 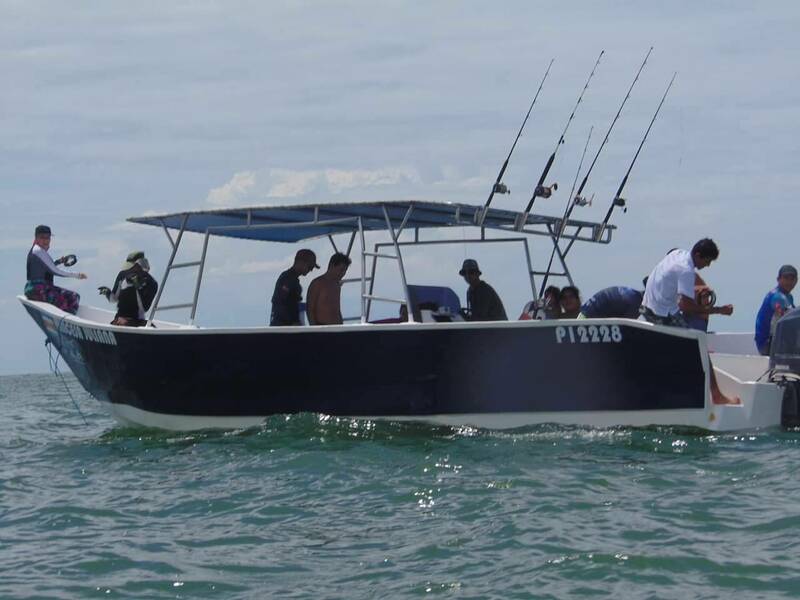 Requirement/Recommendations: Not suitable for pregnant women of high risk, nor children under 2 years of age. 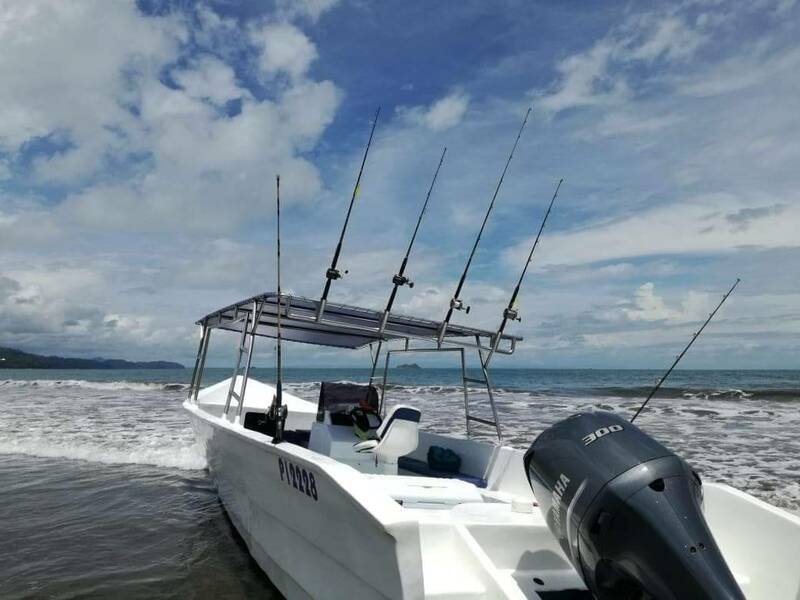 Bring: Swimsuit, suitable clothing and footwear, Sun block, Insect repellent, Hat, cap, sunglasses or other sunscreen articles, Beach or bath towel, Personal medicines, Dry bag for storing important objects (optional), Binoculars, video and/or photographic camera (optional). 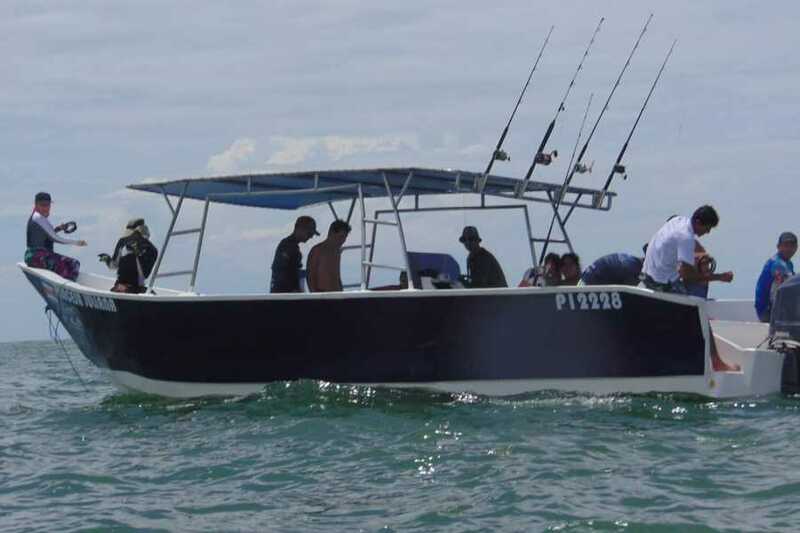 Limit: 1 to 5 people. 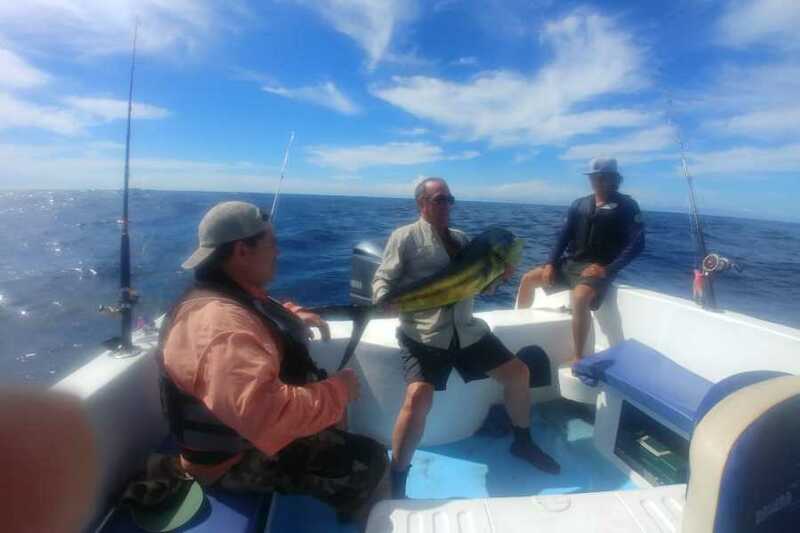 The coastal fishing starts at 07:00 a.m. with a duration of 4 to 5 hours approximately. 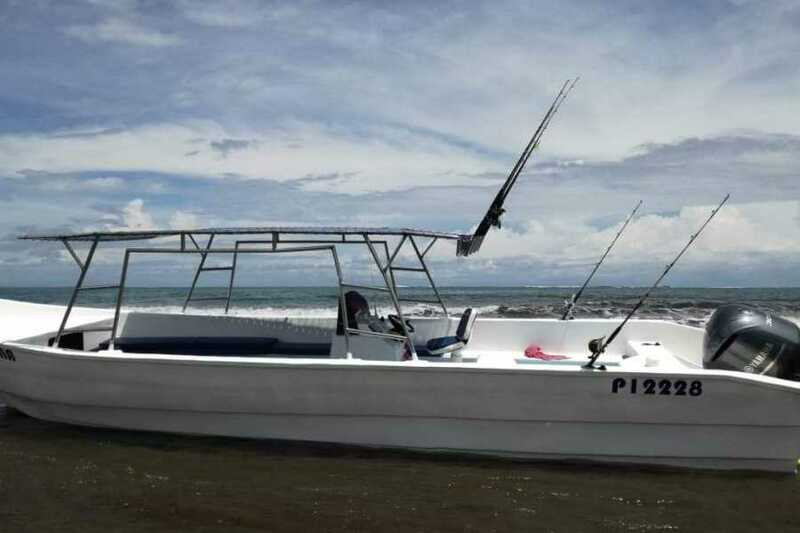 Where our departure point will be the office of Ballena Aventura, we will offer a refreshing juice of seasonal fruit along with a snack to taste while we make the registration of each of our companions, once registered we will move on a small walk of Ballena Bay history to the entrance of the Ballena National Marine Park (Uvita Beach sector), where we will take the boat that will be waiting for us, during the inshore fishing we are looking for smaller species such as snappers, roosters, jack fish, mackerels, among others. 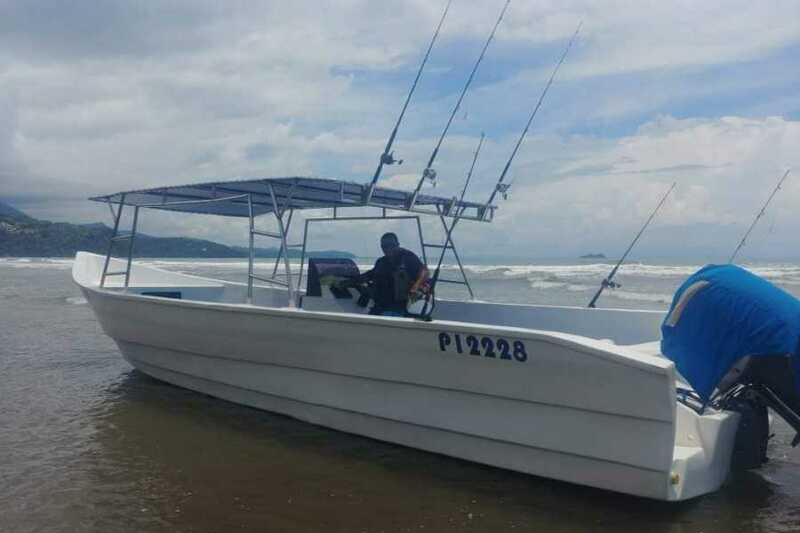 Requirement/Recommendationes: Not suitable for pregnant women of high risk, nor children under 2 years of age. 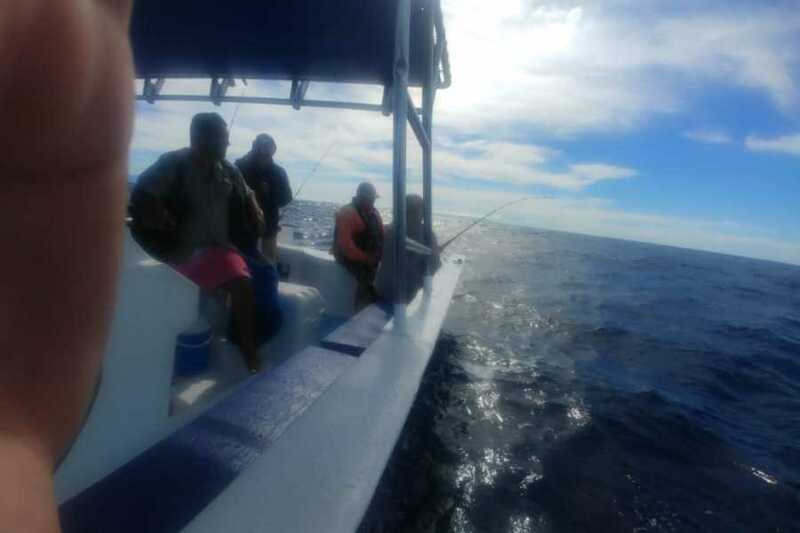 Bring: Swimsuit, suitable clothing and footwear, Sun block, Insect repellent, Hat, cap, sunglasses or other sunscreen articles, Beach or bath towel, Personal medicines, Dry bag for storing important objects (optional), Binoculars, video and/or photographic camera (optional).